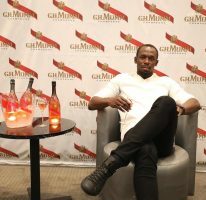 KINGSTON, February 19 – Usain Bolt Foundation and sponsor partners have contributed US$25,000 (J$2,150,000) to Pan Caribbean Sigma Corporate Run which has collaborated with the Chain of Hope Foundation to raise J$50,000,000 for Cardiac Programme at the Bustamante Hospital for Children. Usain Bolt is one of three patrons along with Her Excellency Lady Patricia Allen and Dr. the Hon R. Danny Williams who have lent their support to generate income and interest in the well needed programme for children. Usain Bolt was one of over 15,000 participants in the 14th running of the event. He was also joined by his parents and members of his management team. 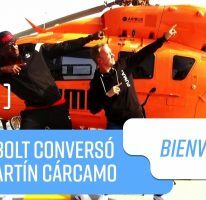 Before he set off the runners in the run section, Bolt took time to meet and greet with the participants who included Paralympians, runners, walkers and curious onlookers. Usain was also a presenter at the closing ceremony held at the Emancipation Park. 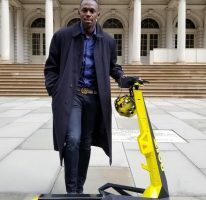 Bolt, who has his own Foundation now has a package of Charities which he supports, which includes Piedmont Basic School, Waldensia Primary School, William Knibb High School, Sherwood Content Health Centre where he provides safety and recreational equipment along with learning tools for children.